Written by: Foreign Writers on February 14, 2019. The year 2018 witnessed many important political affairs in the Middle East; from Syrian civil war to Israel-Palestine peace process stalemate, from the war against ISIL in Iraq to the warfare in Yemen. Although the dawn of peace emerged in some regional wars, the year 2019 might be another tumultuous year for the Middle East and regional states. Since many of the trends in the Middle East are interlinked with one another, in the following paragraphs, we will discuss them separately as much as possible for the sake of understanding their individual mechanics. As we start the tenth year after the onset of the Arab uprisings, there is, sadly, little hope that there will be peace, democratic transition and stability in the Middle East. The year 2019 will not bring much positive change to the region: ongoing conflicts are unlikely to be resolved, some may even get worse and new ones may break out. In this continual upheaval, the United States will certainly play the most important role. The political wrangling between President Donald Trump and the Washington establishment, in particular, is likely to determine the direction of much of the US foreign policy towards the region. It is widely expected that, in 2019, Special Counsel Robert Mueller will make more revelations about the results of the ongoing investigation into alleged Russian interference in the 2016 presidential elections. Therefore, Trump will likely distract the public by taking dramatic decisions on foreign policy; the Middle East will be the easiest target. Already at the end of 2018, there were clear indications of this trend. Trump’s mid-December surprise decision to withdraw over 2,000 US troops from Syria was widely seen as an attempt to appease his support base, consolidate power and rein in administration officials who disagreed with him. Despite the defeat of the Syrian opposition and the retaking of large swathes of land by pro-regime forces in 2018, the Syrian conflict is far from over. More than 40 percent of the Syrian territory is still not under the control of Damascus. The withdrawal of US troops from the oil-, gas- and water-rich northeast Syria is likely to fan the competition between the major external powers in the conflict: Turkey, Russia and Iran. This is likely to also affect the de-militarised zone agreement in Idlib, which prevented a major onslaught on the last opposition stronghold last September. The Syrian conflict may very well enter a new phase of proxy warfare, wherein the US assigns Turkey the responsibility of blocking Iran in the territories that it intends to evacuate. The withdrawal of US forces would also stimulate a more aggressive Israeli approach in Syria. 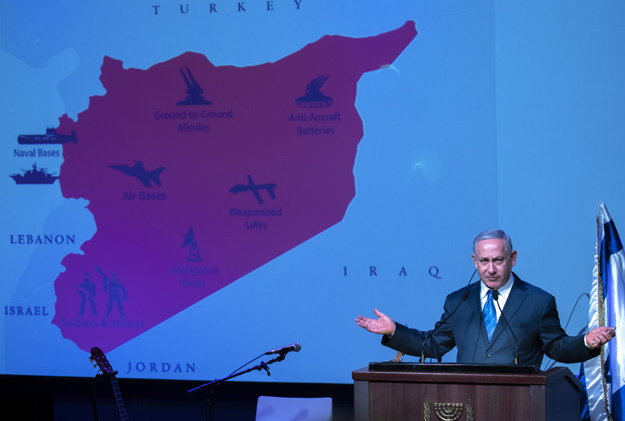 After the US pullout, Israel will have to rely solely on its own efforts to counter Iran’s influence in Syria; therefore, it will seek to increase its military activities there. It will, however, face one major challenge, i.e. Russia, which controls Syrian airspace. In September, an incident involving Israeli fighter jets led to the downing of a Russian surveillance plane and the death of its 15-member crew. This infuriated Moscow which has so far refused to continue its close military coordination with Israel. Increasing tensions among major foreign players in Syrian conflict are likely also to further delay a political solution to the conflict. So far the Astana trio (Russia, Turkey and Iran) has failed to agree on the formation of the constitution committee. Now with the withdrawal of the US troops, the likelihood of an agreement has become even slimmer; in fact, the entire Astana Process could collapse. The parallel UN-led peace negotiations have also reached a dead end. The US withdrawal also means that the US is effectively abandoning its Kurdish allies, the People’s Protection Units (YPG). This will likely result in a dramatic improvement in Turkey-US relations and a restart of their alliance thereupon. This will certainly upset Russia, which is likely to increase its reliance on Iranian militias to fill the vacuum. Realignment could also bring the YPG, fearing a Turkish military offensive, closer to Russia and the Syrian regime. Despite the ceasefire agreement in the port city of Hodeidah, and the notable progress that was made in the negotiations between the warring parties in Sweden, a final settlement of the four-year conflict is still a distant possibility. Indeed, the weakening position of the Houthis following their loss of territory over the past two years and the enormous pressure the Saudi leadership is facing to stop the war in the aftermath of the murder of Saudi journalist Jamal Khashoggi, may have made it easier for UN envoy Martin Griffiths to bring the warring parties together. Yet, the two sides are still convinced that they can win militarily. The Houthis think that the Saudis will eventually have to bow to international pressure, stop the war and abandon their endeavours in Yemen. The Saudi-led coalition, on the other hand, believes that recent progress on the ground, especially in Hodeidah, will eventually force the Houthis to accept their terms to end the war. Iran, too, seems still unwilling to help reach a final settlement. Tehran seeks to keep the Saudis bogged down in Yemen so that they would not have the resources to deal with its activities on other fronts in the Middle East. Iran also wants to use the Yemen conflict as a bargaining chip in a grand deal to lift US sanctions and salvage the Joint Comprehensive Plan of Action (JCPOA) after Trump withdrew from it last May. Despite extensive Kuwaiti efforts for mediation and increasing US pressure on Saudi Arabia, there are no indications that the Gulf crisis may end any time soon. In early December, Saudi Arabia refused to discuss the crisis at the last GCC summit in Riyadh, to which Qatar sent only a low-level delegation. The four blockading countries (Saudi Arabia, UAE, Bahrain and Egypt) believe that time is on their side and that Qatar will eventually accept their demands. Qatar, on the other hand, thinks that it can weather the blockade and wait for the four to realise that they are in fact shooting themselves in the foot. In 2019, this standoff is likely to persist. For mere geographic reasons, Qatar will have to continue relying on Iran to evade the blockade. It will also strengthen its alliance with Turkey and has allowed the latter to establish a military presence in the Gulf for the first time since the end of World War I. Following the withdrawal of the US from the JCPOA, Washington unilaterally re-imposed sanctions on Iran in two rounds: the first one started in August and the second and the toughest started in November, hitting Iran’s oil and financial sectors. Fearing soaring oil prices, the Trump administration gave six-month waivers to eight countries for importing Iranian oil. Come May, when the waivers expire, Trump will have to decide whether to fulfil his promise of working to bring Iranian oil exports to zero. If he does, Iran, which is largely dependent on its oil revenue for hard currency, is likely to consider the move of a declaration of war. In retaliation, it could act on its threats to close the Strait of Hormuz, through which some 20 percent of the world’s traded oil passes. This would effectively block other Gulf states from accessing the oil market. Although many consider this a hollow threat, the possibility of an escalation is real as the US tightens the noose around Iran’s neck. If Iran chooses not to block the Strait of Hormuz, it has the capacity to retaliate in other places, especially in Iraq. It has already urged its allies in the Iraqi parliament to try to abrogate the 2008 treaty which made the US military presence in Iraq legal. Pro-Iran Shia militias have also threatened to target US troops in the country. The resumption of the US-Iran conflict in Iraq could benefit the Islamic State of Iraq and the Levant (ISIL), which last year was greatly weakened but not eliminated. Hence, Iraq could see further political and security turmoil in 2019 should the tensions between Iran and the US increase. In 2019, Israel is likely to continue taking unilateral measures to establish new realities on the ground in Palestine, taking advantage of the full support it receives from the Trump administration and the continuing turmoil in the Arab world and within the Palestinian leadership. In fact, Israel is working with the Trump administration on two fronts with a covert objective of completely erasing the Palestinian question. First, it seeks to take the so-called “final status issues” off the negotiation table, most importantly the status of Jerusalem and the right of return for Palestinian refugees. The US has already recognised Jerusalem as the capital of Israel and has moved its embassy to the western part of the city. It has also halted funding for the United Nations Relief and Works Agency for Palestine Refugees (UNRWA), demanding that the agency change the definition of a refugee in order to resume its financial contributions. If UNRWA gives in, the number of Palestinian refugees who receive aid will drop from several million to a mere few hundred thousand. This will also determine the number of Palestinian refugees when the right of return is discussed in any future peace talks. Second, the US is working towards establishing an anti-Iran Arab-Israeli alliance. It is expected that the Trump administration will present in the year 2019 the much anticipated “Deal of the Century” to impose some form of settlement to the Palestinian-Israeli conflict and pave the way for the aforementioned alliance. Normalisation is already underway between several Arab countries and Israel, and we will see more of it in coming months. As these conflicts in the Middle East deepen, political alignments in the region create corresponding fault lines and increased polarisation. Since World War I, political divisions in the Middle East have always mirrored those of the world order du jour. Today, these divisions are deeper in nature and greater in number. They also reflect a degree of independence from the broad trends of the international system. Hence, instead of having two camps, we have now three: the so-called “resistance” axis of Iran, Iraq, Syria and Hezbollah, which is supported to a certain extent by Russia and China; the counter-revolution axis made up of Saudi Arabia, the UAE, Bahrain, Egypt and Jordan and backed by Israel; and the pro-change axis of Qatar and Turkey. These three axes are caught in the middle of a vicious conflict to decide the future of the Middle East. All these issues are likely to dominate the political scene in the Middle East in 2019 and we probably will not see the end of any of them. In 2018, the Middle East was one of the most volatile parts of the world and it is likely to remain so in 2019. This post has been seen 1755 times.